Are you ready for Bluetooth tools? Solar powered tools? Tools that charge by using them? Up until recently, the introduction of the lithium-ion battery was the most significant step forward in cordless power tools. It held a charge longer while making your tool lighter and easier to manage. However, new technology is evolving quickly, and battery chargers are no exception. Some technology is already being marketed and available for you to use right now, while others are still being developed by engineers and scientists. These new and developing technologies may help change the way you handle and use your power tools. Tool manufacturers are now creating charging stations for your power tools that work wirelessly. Also called inductive charging, these are pads that you can set your tool down on, and it will charge without having to plug the battery into a port. The pad sends out electromagnetic impulses which are transmitted to a coil in the battery that allows it to charge. The battery stays in the tool, rather than being taken out; this means that you can pick it back up to use at any point without having to reassemble it from a charging station. It also means never having to worry about your battery’s contact points and whether they have a good enough connection to get the charge. You just set the tool down on the pad and go. Can Bluetooth charge your batteries? Not yet. But many manufacturers have already started making Bluetooth tools with a wide range of new capabilities. These Bluetooth tools send information to your smart devices and connect you with information about your tools you have never had before. You can be alerted on how much life is left in the battery, or whether the tool is running hot and needs a break. You can also control your battery remotely, turning Bluetooth tools on or off at any time. Bluetooth tools can also be programmed to automatically shut off if they wander from a preset area, like the perimeter of your job site. Solar powered tools haven’t hit the market quite yet, but solar powered battery chargers have. Portable solar panels are lightweight and foldable, making them easy to store and go as you travel among work sites. When opened, they absorb light energy which is converted to usable energy for your power items. The solar panel either runs a cable that can be directly plugged into a power device or a charging station. The charging station will have an electrical socket that can accept any AC power cord, which makes your powering options almost endless. Perhaps one of the most interesting charging methods on the engineering horizon is friction charging. Friction charging is based on the idea of creating electricity by rubbing two items together to power items. It is already being harnessed by electric trains and cars, which use regenerative braking systems to charge their electrical systems. It may be a few years away, but the friction created by your power tools while you’re sawing, drilling and driving may be the very thing that charges the battery as you go. Most of the research being done in new and unique ways to charge a battery is geared toward mobile devices and electric cars. 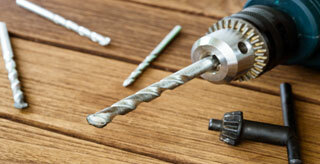 However, it is only a matter of time before those improvements begin bleeding over into any battery-operated item; that includes your power tools. Some phones are already being charged in these new and interesting ways. You can buy a charger that plugs into a plant and charges your phone. In five years, that could be how you power your reciprocating saw. Great strides have already been made in cordless batteries. Bluetooth tools are available to you today and offer a range of options to help improve your battery’s performance. You can check its charge and track its performance. You can control who uses it and when. Future options, like solar powered tools and power tool batteries that run on water, are in the pipeline and may be closer than you think.